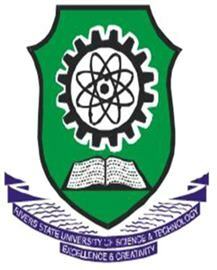 RSUST Sandwich Form – The Rivers State University, Port Harcourt sandwich Degree programmes admission form for the 2018/2019 academic session is now on sale. Interested and suitably qualified candidates should check out the requirements and method of application below. See also: RSUST Sandwich Postgraduate Admission Form for 2018/2019 Academic Session. Application form cost – (N10,000.00). Log on to the University’s Website www.ust.edu.ng or www.rsu.edu.ng/ and make an e- payment by generating transaction ID for the fee and proceed to any designated Bank to pay using the Pay Direct option or with Inter-switch enabled Verve Card.